Dangerous dancing and dentists. Sounds like a crazy combination, but they’re both connected to the latest viral challenge. You’ll never believe how I learned about the Kiki Challenge. When you’re an internet comedian like Shiggy and your friends are NFL players like New York Giants wide receiver Odell Beckham Jr….the response videos go viral. Odell took it to the next level by hopping out of his moving car to show his moves. Of course, it was the combination of the dance, and the danger of doing it after jumping out of a moving vehicle, that made it difficult enough to be a challenge. And, when the internet sees something they consider a challenge, they respond. Reports of people being injured and even hit by cars attempting the Kiki Challenge have started to surface. Local police have made statements urging young people to not risk attempting the stunt – no amount of likes or retweets is worth a trip to the hospital. Now, we can’t blame Odell and Shiggy. There are plenty of videos of people doing silly things all over the internet, and the desire to copycat what we see has always existed. But admittedly, I didn’t expect to see much of the Kiki Challenge myself. Most of the videos of the Kiki Challenge were young people, Drake fans, and Instagram personalities. Then, the Kiki Challenge reached the trucking industry. Talk about scary – no one wants to get hit by a car, and even less so by a big rig! I wonder what their employers do about it when they see the videos…. But then, the Kiki Challenge struck again. Where I least expected it. A dentist. No, I didn’t end up at a dentist for repairs after failing my own Kiki Challenge. 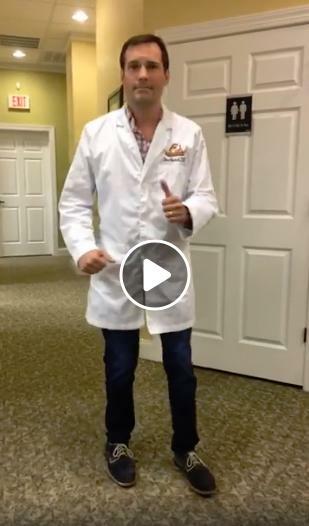 Rather, my friend and local dentist Dr. Schumate decided to join in on the dentists’ version of the “In My Feelings” challenge. Dentists across the country gave the challenge a toothy twist, aptly dubbing their version the “In My Fillings” challenge. Dr. Schumate eschewed the moving-vehicle part of the challenge entirely, and posted his own video in the vein of Shiggy’s original – a great dance to a great song. I happened to be having dinner with him when he realized his video had also gone viral. When I last checked, it had well over 85,000 views. There you have it, folks, proof that you don’t have to risk your health and safety to be an internet superstar. As for my friend, Dr. Schumate, he’s decided to keep his day job while he waits for that phone call from Ellen.